CBC Manitoba's second round of 2018 Future 40 finalists includes an advocate working to create safe spaces for exploited women, an 11-year-old who's met Prime Minister Justin Trudeau twice, and a high school student who led a drive to collect two tonnes of food for residents in Churchill, Man. This story was originally published on Nov. 20, 2018. 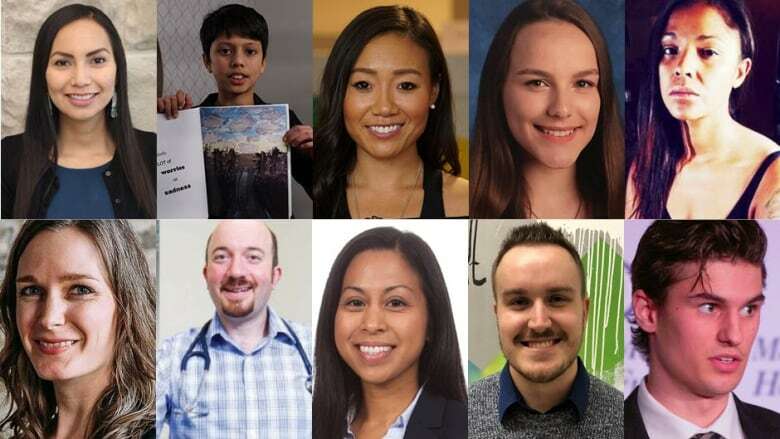 This week, CBC Manitoba is announcing our Future 40 finalists — 40 Manitobans who are 40 or younger, all working to make this province better for future generations. We'll introduce you to 10 of the remarkable finalists online each day this week, from Monday to Thursday. It all started with polar bears for Skylar Ferguson — but it led to a massive show of support for a northern Manitoba town cut off from the rest of the province last winter. 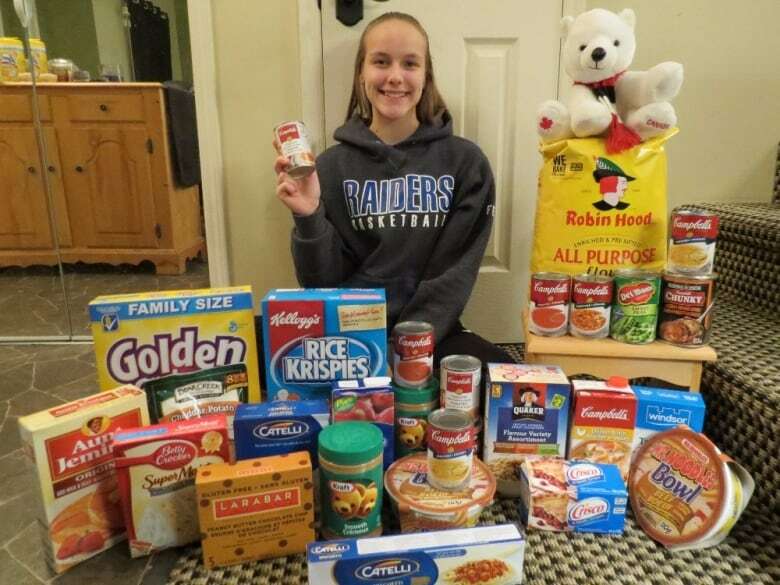 The 17-year-old student at Winnipeg's Oak Park High School, a self-described lifelong "polar bear fanatic," launched a fundraising, toy and food drive called Christmas for Churchill last year. The inspiration came from stories she heard while doing research for an international science fair project on Churchill, famous for its polar bears. While talking to Mayor Mike Spence, she found out how profoundly the loss of the washed-out railway link to the town was affecting residents ahead of Christmas last year. "It broke my heart. It touched me so much," she said of hearing about the financial hardships and job losses faced by people in the town. "Families weren't able to support themselves, and were having to move away from their home where they created all these memories. And that was absolutely terrible." To help, she launched a drive that in just six weeks collected nearly two tonnes of food, more than 300 toys, and $5,000 worth of gift cards to buy fresh food at a local market for Churchill residents. It also gave Ferguson a chance to travel to the town, about 1,000 kilometres north of her home in Winnipeg — a place she had never visited before. Getting to finally meet the residents — especially an emotional meeting with kids at the town's Duke of Marlborough School just before Christmas last year — "was the most amazing experience," she said. "When I was organizing all the presents and the food, I was working off a list based on genders and ages. But when I actually got to see the faces and the expressions of the children, it made Christmas for Churchill a reality.… I get speechless and I get worked up when I think about it." She's been back twice, and on her most recent visit, she finally got to see a polar bear. "I started bawling," she said. "I was just crying, because seeing a bear in a zoo — it's not anything compared to seeing them in their natural habitat." While working with residents in Churchill, she learned there are still problems that need attention in the north — even after the recent restoration of the rail line. "Yes, having the rail line helps with financial issues, but a huge problem in the northern areas is mental health, and that's where I really want to focus my work." 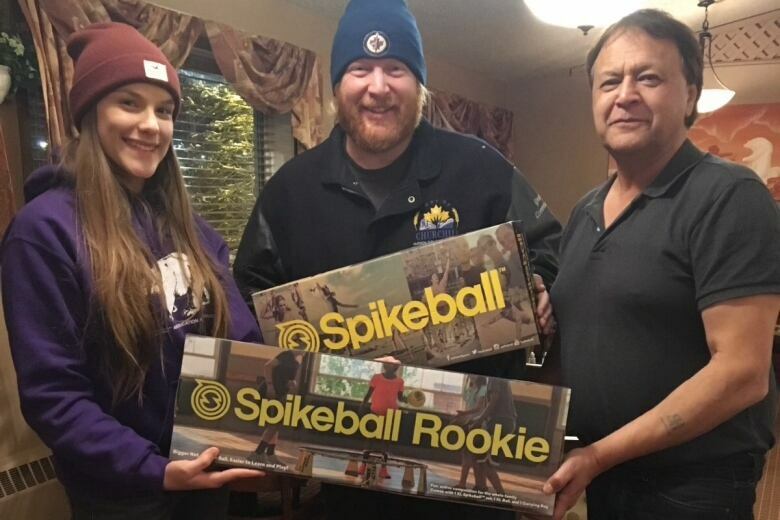 She's started a GoFundMe page for a new initiative called Sport the North, which will collect new and gently used sports equipment for Churchill and communities in Nunavut's Kivalliq region. As an avid athlete, she sees a powerful connection between sports and mental health. "I have always been involved with sports ... and I realize that there are the connections that you build between teammates and one another" that promote mental health, she said. She hopes she'll get a chance to take some of the equipment up north herself. "I'd love to go back. If I could go up right now, I would.… It's the most amazing place ever." But for now, the Grade 12 student is looking forward to graduating this year, and has plans to study veterinary medicine or biology — with a focus on arctic wildlife, naturally. She also plans to keep volunteering — and has some advice for anyone else who wants to do the same. "I found with Christmas for Churchill, a lot of people wanted to help, but they just didn't know where. Christmas for Churchill added an avenue for … people to help," she said. "So if people have an idea, make that idea heard. Because there may be huge support — from your school, from the community — that will be willing to help you make your idea a reality." Janilyn Arsenio is a scientist, Filipino-Canadian, devoted mom and wife. 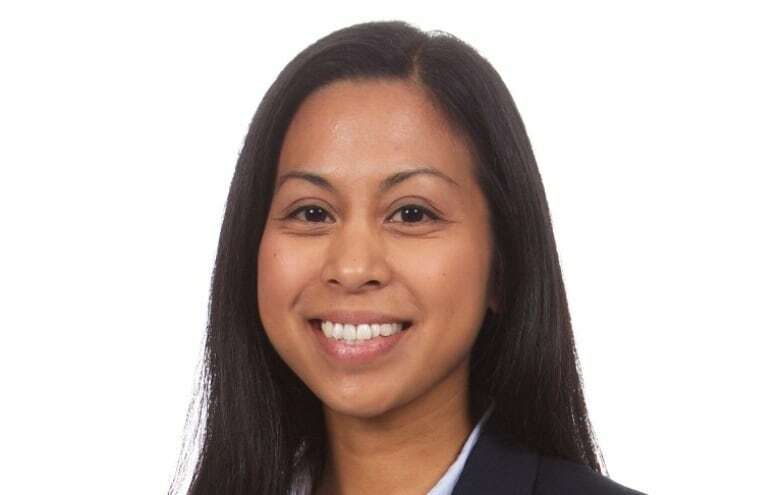 After completing her PhD at the University of Manitoba, she pursued post-doctoral training at the prestigious University of California San Diego, before returning back to the University of Manitoba. She is now an assistant professor in the university's departments of internal medicine and immunology. Her scientific expertise is with a cutting-edge technology that can investigate gene expression in a single cell. As the first person in Manitoba to use single-cell genomics, she is using her skill to study the function of immune cells and how they develop into specialized cell types like immune memory cells or the killer cells that attack cancers. Her research will help to develop new strategies for vaccine design and in the treatment of infections, cancer, and autoimmune diseases. She is already having a broad impact on biomedical science in Manitoba. She has garnered recognition in the form of many local and national awards she has won as a young investigator. Recognized as an emerging leader, Arsenio has been nominated for a prestigious Canada Research Chair. She is also passionate about diversity and inclusion in science. She is the vice-chair of the initiative WISDOM: Women in Science, Development, Outreach, and Mentorship, at the Rady Faculty of Health Sciences. She is a member of the Association for Women in Science (U.S.A.), and the Society for Canadian Women in Science and Technology. Through these venues, she works to promote greater engagement of women in science. Derrek Bentley has devoted his life to social justice, education and helping others. While growing up francophone in Manitoba, he has dedicated his free time to bringing awareness to important causes. He founded the project A Homeless Night, which raises awareness of homelessness in Manitoba. He continues to volunteer in many grassroots organizations, such as Conseil Jeunesse Provincial, and as a board member for Canadian Parents for French National, all while completing his master's degree in peace and conflict studies. He works full-time at the Canadian Museum for Human Rights as an assistant manager, further educating the public on crucial social issues. Bentley has accomplished all of this while trying to heal after the murder of his brother in 2014. Long before that, and ever since, he has dedicated his life to promoting peace and social justice. Bentley's passion for others truly fits the definition of perseverance and selflessness. He is just getting started. Isabel Daniels is an advocate for sexually exploited women and is currently lobbying for a 24-hour safe house for these women. She also holds yearly fundraisers for breakfast programs for inner city schools that are not funded, as well as having clothing drives for winter clothing for children whose parents cannot afford to buy them every year. She also sits on a number of boards, including the Family First Foundation for families of missing and murdered Indigenous women and girls. She does all this from the heart, with no honorarium, and works tirelessly to improve the well-being of those less fortunate than others. More than 1,700 gifts ago, Pamela Delisle founded You Can't Spoil a Baby — a 100 per cent volunteer-operated project that provides custom-made gifts to Manitoba families in need after the birth of a baby. It started small — with giving away her own children's outgrown clothes — and has grown into a team of over 75 volunteers co-ordinated by Delisle who collect, create and deliver beautiful custom gifts to new parents. These gifts are not just newborn items — they include clothing and items for the first year of a baby's life. Delisle saw a gap and she has worked tirelessly since 2011 to help close it to the benefit of those 1,770 babies. Not only is she an innovator, an advocate and an inspiration, she is also warm, kind and compassionate. Her background as a social worker in the women's health field, her commitment to environmentalism and her determination to help marginalized families feel valued and cared for was the perfect combination to grow YCSAB into the dynamic volunteer network it is today. She is proof that one simple idea acted upon can create countless opportunities for an entire community. 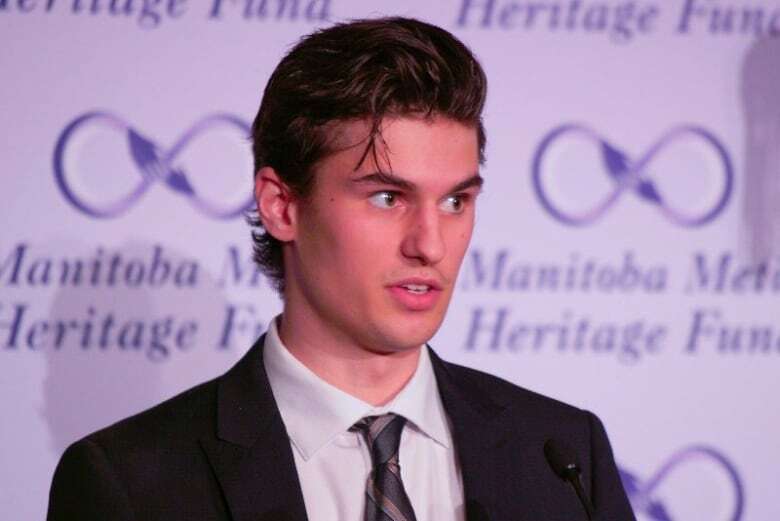 Hunter Goodon is a Métis youth from Manitoba. At two years old, he was diagnosed with acute lymphoblastic leukemia and went through more than three years of treatment. One of the best things his family did was enrol him in hockey at the age of four. He loved being around the other kids in the dressing room, where he was just one of the guys, a boy who played centre. Then around 12 years old, he decided to pursue his dream of becoming a pediatric oncologist while continuing to perform on the ice. He played AAA hockey for the Brandon Wheat Kings and was selected to the role of alternate captain while maintaining honour roll standing from grades 9 to 12. On to post-secondary study, and Goodon's dedication continues to shine. He maintained an A+ average in his third year of an honours science degree at Brandon University, which won him more than $20,000 in scholarships. He is the humble recipient of numerous awards including an Indspire Award for Indigenous students in Canada and an Natural Sciences and Engineering Research Council undergraduate student research award and a Manitoba Aboriginal Youth Achievement Award. He was selected to work in the research lab of Bernadette ​Ardelli, dean of science at BU, and invited by NSERC to participate in their Indigenous Ambassadors Program, which sends post-secondary Indigenous students to high schools to speak with Indigenous youth about the benefits of studying science. 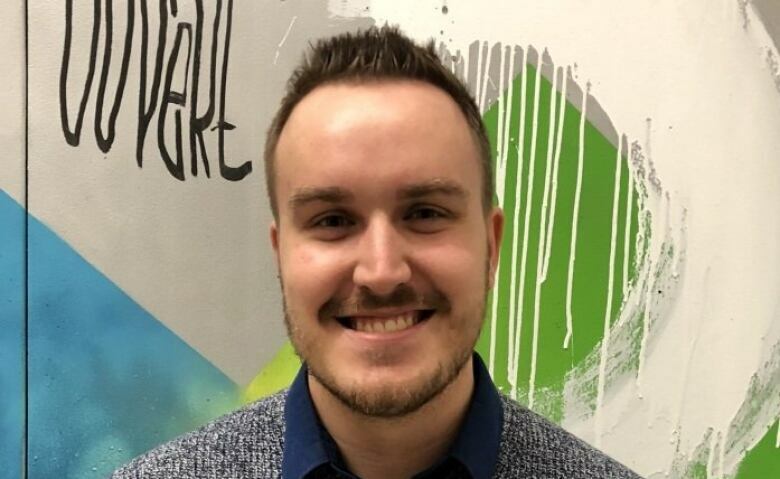 In the midst of a very full academic life, Hunter makes time to volunteer at Métis cultural events and festivals, and as an Indigenous youth mentor for Big Brothers. He was a keynote speaker at the Manitoba Metis Federation's Hunt for the Cure Gala Fundraiser for CancerCare. He also volunteers at the Brandon General Hospital imaging diagnostics and emergency departments. Angeline Nelson is a Muskego Anishinaabekwe from Bigaawinashkoziibiing, Roseau River Anishinaabe First Nation. Her interest in science, specifically in chemistry, from a young age led her to earn a bachelor of science in chemistry and zoology. She has always wanted to create opportunities for other Indigenous youth to be engaged in science, have an opportunity to practise hands-on experiments and recognize their own potential. 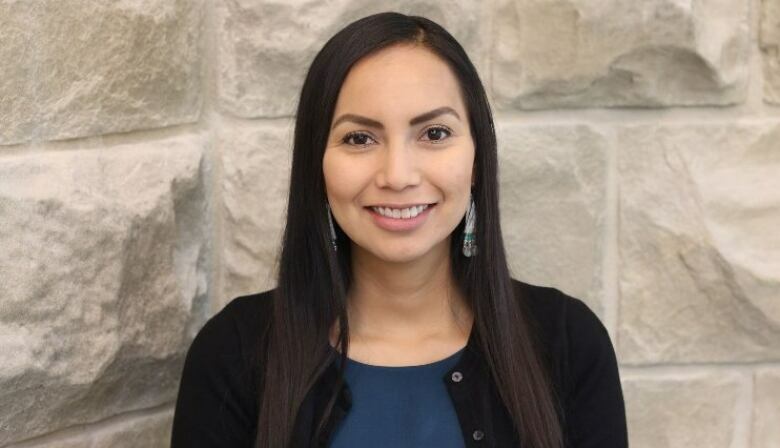 She considers herself a lifelong learner of Midewiwin teachings, Anishinaabemowin and cultural knowledge and the strength, resiliency and humility of Indigenous people who have a strong connection to who they are as Indigenous people. 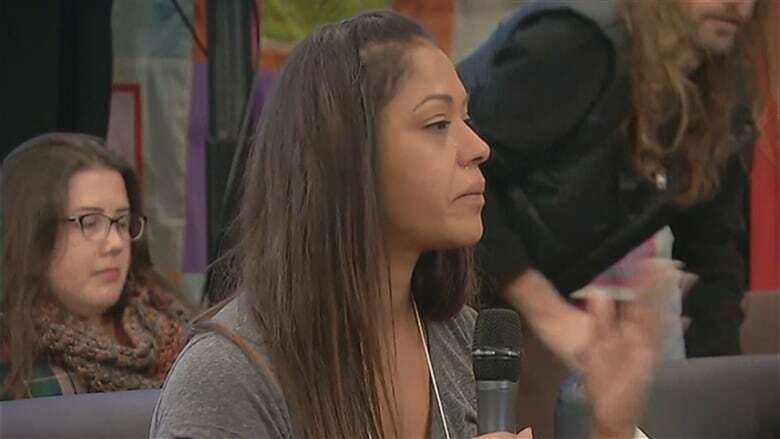 This has helped her to focus her efforts on language revitalization, creating opportunities for learning about culture, learning and teaching regalia making, and ensuring that programming for Indigenous youth is "Indigenized." Today, both her cultural connection and fascination with science have led her to her current role as the new director of community learning and engagement at the University of Winnipeg. Nelson ensures that both Indigenous and non-Indigenous youth have multiple opportunities to be engaged in science, technology, engineering, arts and math (STEAM) programming from a young age, and that Indigenous people have opportunities to learn Indigenous languages and have a space to call their own on a university campus. Last year, she developed free women's self-defence programming to create change for Indigenous women, especially for those who may be experiencing or have experienced violence. Dr. Alex Singer is an associate professor in the department of family medicine at the University of Manitoba, where he leads the quality improvement and informatics curriculum. He trained at McGill University (Montreal) and University College Dublin (Ireland) before being recruited to Manitoba in 2010. Singer is Manitoba's leading expert in electronic medical records (EMR). 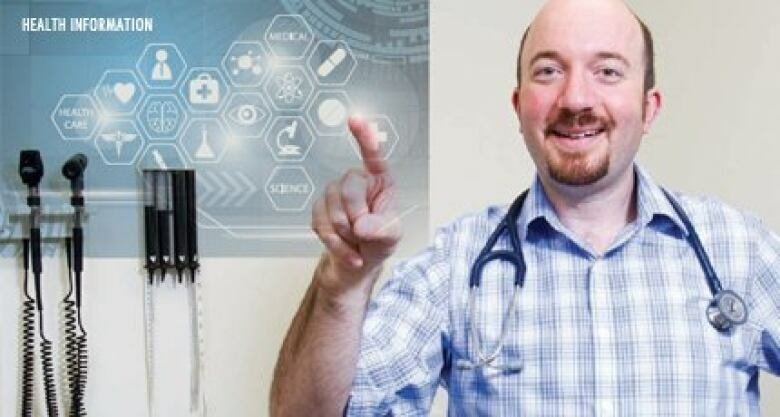 He is director of the Manitoba Primary Care Research Network, where his team is developing new ways of using EMR data to improve health-care delivery and advance health research in our province. For example, his team is using EMR data and cutting-edge machine learning technology to better define and treat post-traumatic stress disorder (PTSD) among veterans, families of military service members and the general population. He is also using EMR data to track and study chronic disease, and to support the Choosing Wisely campaign for responsible testing and prescribing patterns. 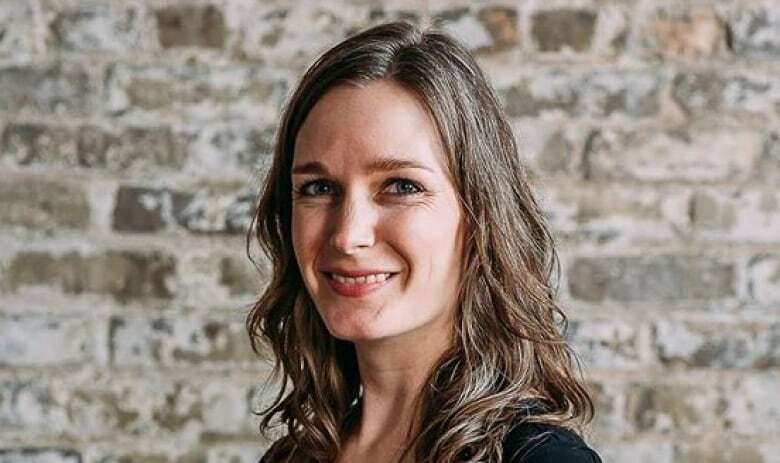 Since 2014, Singer has served as the Manitoba eHealth Family Physician Champion, representing the needs and interests of all Manitoba family physicians and reporting directly to the chief medical information officer of Manitoba. Singer is known among his colleagues for his boundless energy and "out of the box" approach to tackling big problems and hard questions in health care. Through his multiple roles and tireless dedication as a practising physician, clinician-teacher, eHealth Champion and director of the MaPCReN research program, he is paving new ways to improve health for all Manitobans. Within the last four months, we've raised over $10,000 for the Women's Health Clinic, Turning Pages of Mood Disorders Association of Manitoba, Make Music Matter and Westman Dreams for Kids Foundation. "We create the chain of love with no beginning and ending. Love and support is continuous." Just 11, this young man is already moving mountains. He has met the prime minister twice since Justin Trudeau took office, and has raised important social issues with him on both occasions. Abdu's sense of community activism has led Trudeau to exchange letters with the young man. Last year, he wrote to Winnipeg's chief of police, asking to volunteer for the service. In turn, he was made honorary police chief for the day. He has also written to the mayor of Winnipeg, offering his services to help repair Winnipeg's image as a racist city in Canada. He has become a strong proponent of bringing awareness to mental health issues and ending stigma. He recently participated in a book called All Kinds of Minds, which increases awareness of mental health differences in Canada. Abdu is a kind, loving and gentle young man who helps in various organizations, including Inspire Community Outreach. He also helped fundraise for an international charity in Africa. He is a strong young leader at his school who displays respect and fosters great behaviour for everyone. He has a keen interest in socialism and community development in Manitoba, especially around mental health issues and ending domestic violence. Alongside his mother and his sister, he helps raise awareness on such issues on all platforms. He is someone to look out for — a truly dedicated young Manitoban. With files from Joff Schmidt.